Making available one of the best paediatric services is Dr. Archana Rajendra Latkar in Aundh who has been practising for many years. Offering an exemplary care and medical help to infants, children and adolescents, this renowned medical practitioner has earned a wide recognition over the years. Providing a distinguished service since 1994, this acclaimed medical specialist has turned out to be the first choice for paediatric care for the residents in the neighbourhood. The chamber holds a strategic location in Aundh with the exact address being Niyoshi Park 2 on D P Road right D P Road due to which inhabitants can find out the clinic without hassle. The presence of dense roads and an equally good transport facility in the locality enable the visitors to get their way back from the doctor's chamber. 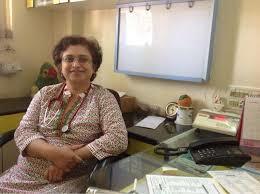 Dr. Archana Rajendra Latkar in Pune owns a modern and state-of-the-art facility, fully equipped to provide medical care to the children in coordination with the family of the child. The paediatrician ensures to clarify any doubt and talk to the point in a very warm and friendly manner. The doctor is promptly available at +(91)-9850999350. In order to reach out to the chamber, citizens can call up between 09:30-17:00 - 13:00-21:00. This medical professional is available in the chamber from Monday to Saturday during which the clinic remains fully-functional. This doctor is also listed in Paediatricians, Nursing Homes, Child Immunisation Doctors category listing. Residents have to make payment to this paediatrician in Cash as that is the mode of payment accepted at the clinic. In order to book an appointment with this doctor, clients can take help of the green 'Book Appointment' tab on the top of the page. About Latkar HospitalAnterior Approach Hip ReplacementHip ReplacementSPINAL TUMOURS SPINE SURGERY :Knee ReplacementAbou us.